Enjoy the best inspirational, motivational, positive, funny and famous quotes by Anne Katherine. Use words and picture quotations to push forward and inspire you keep going in life! 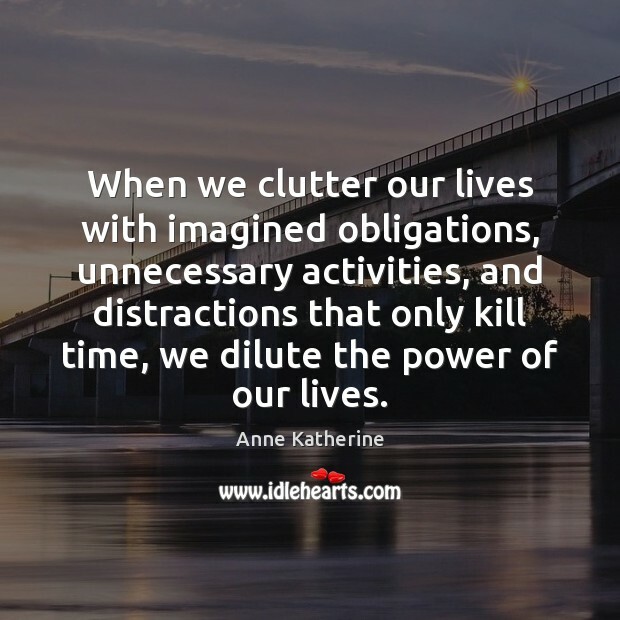 When we clutter our lives with imagined obligations, unnecessary activities, and distractions that only kill time, we dilute the power of our lives. 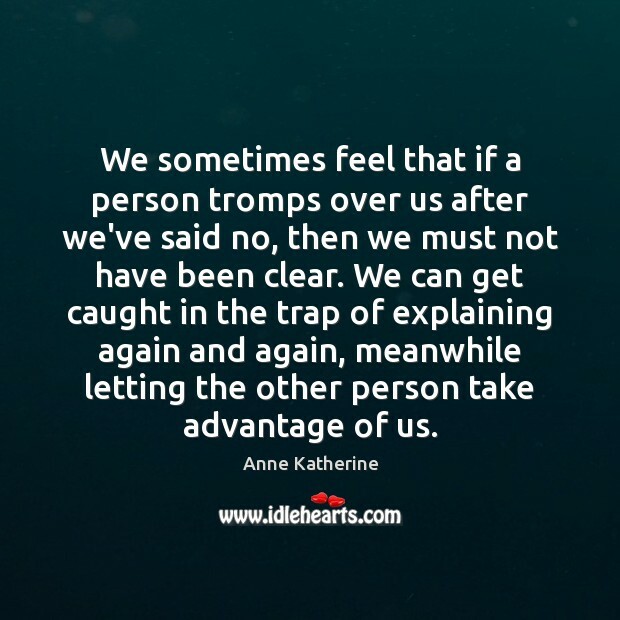 We sometimes feel that if a person tromps over us after we've said no, then we must not have been clear. We can get caught in the trap of explaining again and again, meanwhile letting the other person take advantage of us. The longer we stay in a violating situation, the more traumatized we become. If we don't act on our own behalf, we will lose spirit, resourcefulness, energy, health, perspective, and resilience. 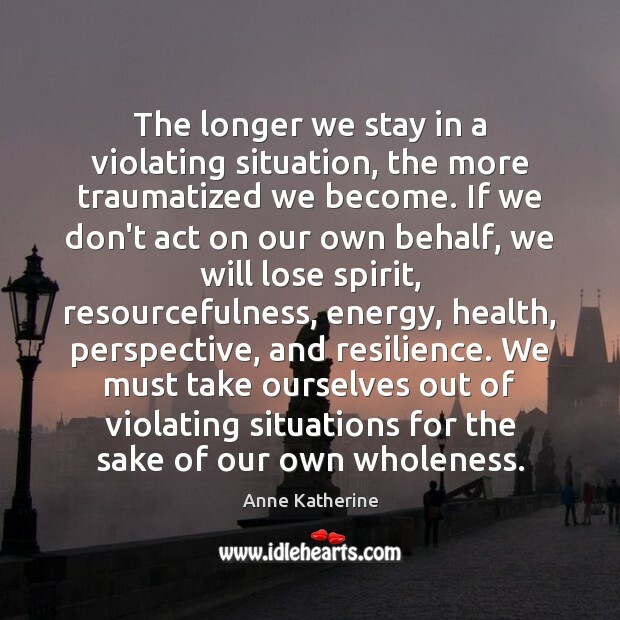 We must take ourselves out of violating situations for the sake of our own wholeness.